Your property is a whitetail paradise (or so you thought), food plots, several ponds, food plots, supplemental feeding stations, more food plots, mineral stations, and yes…another beautiful food plot. It never ceases to amaze, shear lack of thought towards deer bedding and cover on properties. Outfitters and small time hunters alike seem to forget about the importance of cover on their whitetail paradise. If you haven’t got a lot of it then now is the time to start, but before you do take a step back and think. There are 3 spots for deer cover on your property that will benefit you and your deer than anywhere else. Deer cover on your property can be anything from laid over, or hinge-cut trees, to early successional areas, hay fields, old grown up fields, or native grass stands. Anywhere to get out of the wind and out of sight of predators is deemed as “great” deer cover. So where do you put it? If you look around and fail to see anything mentioned above, it is pretty obvious what that you need to increase your efforts towards habitat management for deer. Drop some trees, let the light through, and reset succession any and everywhere you can. Already got too many places in mind? Here are some helpful specifics. Start in the center of the property if possible. Why? It’s pretty obvious don’t you think? Hint: Your neighbors. Concentrating deer cover towards the core of your property will concentrate your deer bedding. Then putting your food plots towards the boundaries of the properties will ensure that you see deer movement in your property not just through it. It will also keep them in the core of your property, not your neighbors. Not just next to your food plot…think more strategically. Placing deer cover in the direction that works in your favor for your beloved food plot. Think about the most common wind you experience, where your stand is on the food plot, and where you want the deer to come from. Concentrating cover in the direction you want the deer to filter into your plot will increase the chance they bed in that direction, and come in on a string on that first afternoon bow hunt! 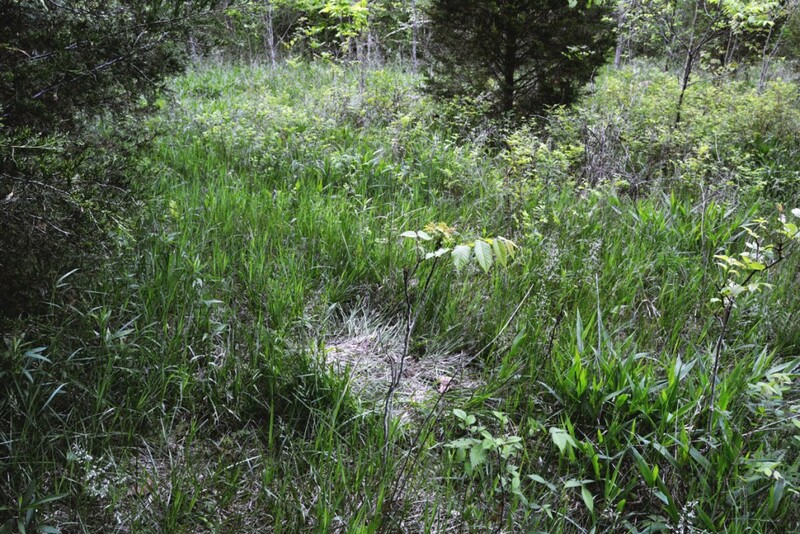 Habitat Management for deer is probably needed on your property, most likely that need is cover. Make some cover on your property, just think before acting and use it to your advantage.